Sunny Wind produces deep yellow blooms with dark pink centers for a dramatic contrast against the deep green foliage. 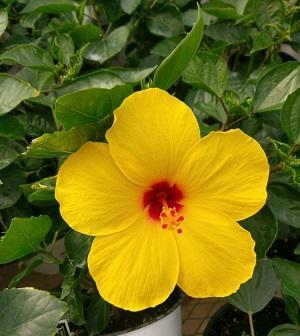 The Hibiscus is commonly referred to as a Tropical Hibiscus or Queen of the Tropics. 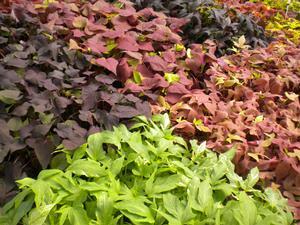 This beauty is actually a tender perennial shrub in frost-free zones. 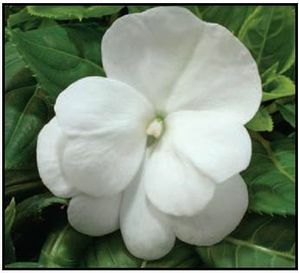 This eye catcher produces shiny green leaves and large, showy blooms up to 6 and 7”! 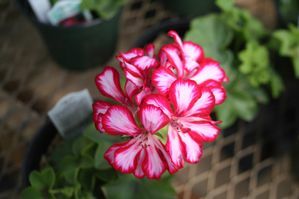 With vibrant colored blooms and exceptional heat tolerance, this is a great summer choice for containers and landscape! This lovely shrub can reach up to 2-3' tall and 2-3' wide.